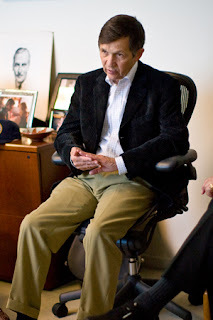 Dennis Kucinich, presidential candidate, appeared on the the Tonight Show with Jay Leno. I actually had the pleasure of meeting him in person at the Screen Actors Guild on August 22, 2007. Please refer to my blog post for that day to view images.